The winds of change that swept over the Carolina Hurricanes in 2018 have been worthy of their nickname. Rod Brind'Amour, who turns 48 on Aug. 9, was named coach May 8 after seven seasons as an assistant, succeeding Bill Peters, who stepped down to become Calgary Flames coach. On the day Brind'Amour was promoted, Don Waddell, who was Carolina's president of business operations for four seasons, was named general manager, filling the vacancy created when Ron Francis was removed March 7. "I don't want to say it's a new team, but it will be," Brind'Amour said. "We'll potentially have 12 new players, so I think everyone's just excited. There's been a lot of change, but we've done a pretty good job of keeping the pieces we wanted to keep and build around, and then we have a couple young players we're excited to see, new rookie players that I think will be exciting to watch." The Hurricanes have been shaking up their roster this offseason, the latest move coming Aug. 2 when forward Jeff Skinner was traded to the Buffalo Sabres for forward prospect Cliff Pu, a second-round pick in the 2019 NHL Draft, and third-round and sixth-round picks in the 2020 NHL Draft. The retooling began when defenseman Dougie Hamilton, forward Micheal Ferland and defenseman prospect Adam Fox were acquired in a trade from the Flames on June 23 for forward Elias Lindholm and defenseman Noah Hanifin. The addition of Hamilton, 25, in combination with the signing of unrestricted free agent Calvin de Haan, 27, on July 3 (four-year, $18.2 million contract) will provide more experience at defenseman. Trevor van Riemsdyk, 27, and de Haan are the Hurricanes' oldest defensemen. "I get to play with one of the best young blue lines in the NHL," said de Haan, who played 304 games in six seasons with the New York Islanders. "I feel I can step in and help this team win. 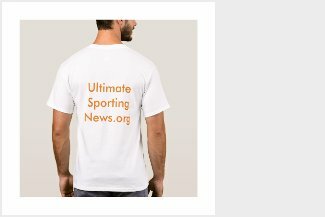 I'm aware that the Hurricanes haven't made the playoffs in the past nine years and I want to be part of the solution here." Carolina allowed the fewest shots on goal in the NHL last season (28.9 per game) but gave up 3.09 goals per game, which ranked 22nd, because of inconsistent goaltending. Scott Darling, 29, had trouble adjusting to a heavier workload after being acquired in a trade from the Chicago Blackhawks on April 28, 2017, going 13-21-7 with a 3.18 goals-against average and .888 save percentage. With Cam Ward leaving after 13 seasons in Carolina to sign with Chicago, the Hurricanes and goalie Petr Mrazek agreed to a one-year, $1.5 million contract July 1. Like Darling, Mrazek, 26, will look to rebound after struggling last season with the Detroit Red Wings and Philadelphia Flyers, going 14-13-6 with a 3.03 GAA, a .902 save percentage and four shutouts. "I know Scott a little bit, so I believe we can be a great tandem for Carolina in net," Mrazek said. "We are going to be sharing the net well and helping the team get the wins." The Hurricanes hope to get a boost offensively from rookie forwards Andrei Svechnikov, the No. 2 pick in the 2018 NHL Draft, and Martin Necas, the No. 12 pick in the 2017 NHL Draft. Carolina was 23rd in the NHL in scoring last season (2.74 goals per game). "You don't want to put too much on them too early, so if that doesn't pan out then it doesn't quite look the same," Brind'Amour said. "But I think right now we've got pretty high hopes on both of them cracking our lineup and being impact players for us." More roster changes may be coming. There has been speculation that the Hurricanes might trade 26-year-old defenseman Justin Faulk. Waddell is working with majority owner Tom Dundon, who replaced Peter Karmanos on Jan. 11, and Brind'Amour in a restructured front office by committee that includes senior vice president of hockey operations Rick Dudley, who was hired May 1, and vice president of hockey operations Paul Krepelka, who was hired April 19. 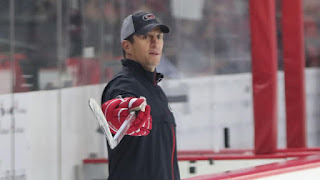 It will be Brind'Amour's job to change the mindset from the Hurricanes being a rebuilding team to one that believes it can contend for the Stanley Cup. "I don't think baby steps is the way to look at it," Brind'Amour said. "Every year has a new beginning, and whether you were Stanley Cup champs or last place it's kind of irrelevant. You're trying to win the Stanley Cup the next year. That's the mentality that you have to have."